March 16th was a ‘national day of action’ on the bedroom tax called by Labour Left, a group of Labour Party MPs, councillors and activists. In Leeds, no demonstration was organised, but instead a 2 hour public meeting held in the University of Leeds with a councillor from London, Rowena Davis speaking about community organising and then a talk and Q&A with Fabian Hamilton, MP for Leeds North East. This was followed by a ‘door knocking’ session in Ireland Wood to “make sure [tenants] are aware of the Bedroom Tax how it affects them and where they can find help.” The meeting was hosted by Cllr Alex Sobel (Moortown) and Cllr Neil Walshaw (Headingley). 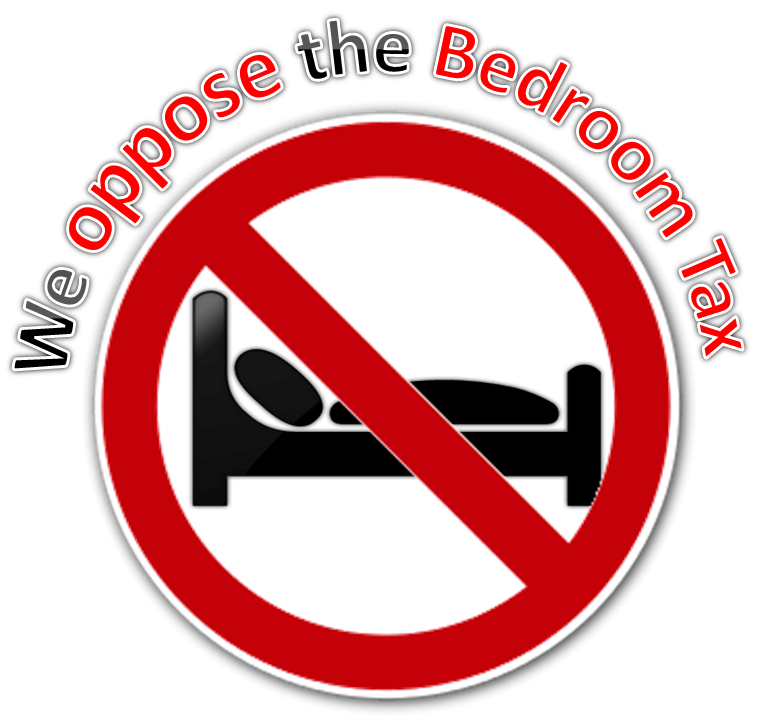 As our previous blog noted, there has been some confusion about Labour’s position on the bedroom tax policy. The Labour leadership have failed to promise to scrap the tax even while they ‘campaign’ against it. In Leeds we have had ‘mixed messages’ too, with some councillors actively trying to stop our meetings happening, others turning up to public meetings to tell us that they don’t agree with the policy but will still support evictions for non-payment, and others just refusing to respond to us at all. About 30 people attended the meeting in Leeds, many spoke of direct action and community organising against unjust policies including the Poplar Rent strike and Poll Tax resistance. The mood amongst the audience was definitely one of refusal – a number of speakers asked the elected members of Leeds City Council if they, like Dundee and Brighton & Hove, would refuse to evict people in arrears because of the policy. Neil Walshaw spoke out against the policy, saying it “can’t and won’t be allowed to stand… we’ve got to stand up and fight in our communities”. Fabian Hamilton pledge to “stand by tenants in my constituency and stand with them against evictions“. He also implied that it was legitimate to refuse to pay the extra even if the household could afford it or could move – the ‘won’ts’ as well as the ‘can’ts’. This is certainly something we welcome. However, the Labour politicians present spent a long time talking up the limitations of their power and would not criticise the Party or the Council. Fabian Hamilton, while suggesting a militant position of people refusing to move, refused to call on the council to support these people by pledging not to evict. The two Councillors also refused to call on the council for no evictions although they suggested, when pressed, this would be something they would support. Instead they said they would ‘ask’ the executive members. We call on councillors like Sobel and Walshaw to campaign within the Council and the Labour Party to pledge no Bedroom Tax evictions. Ultimately it comes down to all talk and no action. It is one thing to say you don’t want to evict or say you will support people who refuse to move and another to actually support them by putting pressure on the council to refuse to evict. We came out of the meeting with a sense of potential however, it is clear there has been a movement within Labour group to take tenants opposition to the Bedroom Tax and our campaign more seriously. While we welcome support from Labour Party members at all levels we don’t believe politicians can fight our fights for us, and we don’t have much faith in a Labour Party that has already promised further welfare cuts if they win the next election. It will not be ‘good will’ that gains concessions from the council but the actions of tenants and their supporters. These actions have got us where we are now, with concessions from central government, and the chance of a major concessions for Leeds City Council. We need to keep the pressure up! You can help by attending one of our local meetings, helping us promote our April 20th protest and by writing to your local councillors. ← Does your local councillor stand with tenants or with the goverment?